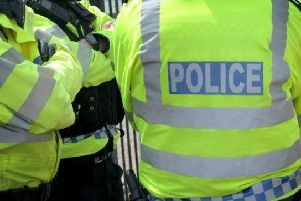 Police in Cubbington have said that "work is going on in the background" to prevent burglaries and address concerns over them after a series of recent incidents. Since the beginning of October there have been eight break-ins and in three cases vehicles were stolen and in another car keys were taken. In the most recent and serious of the incidents , which took place at a house in Broadway on Sunday November 18, two masked men forced entry into the property and threatened the occupants of the house with a knife before stealing a silver Audi S3 (vehicle registration ending 18AZJ) from the front drive. It is believed three other persons were outside the property during the incident. A second vehicle used by the offenders is described as similar to a silver Vauxhall Insignia estate. Both vehicles headed in the direction of Rugby Road. PSCO Ed King, of the Warwick Rural East Safer Neighbourhood Team, said: "There has been a number of residential burglaries reported in the Cubbington area recently. "Work is going on in the background to try and address concern within the local community, and to prevent/detect incidents. Suitable crime prevention information has been shared via Twitter, the Community Messaging Service and local representatives. "Patrols are also occurring when operational commitments permit. "I am in the process of arranging a community meeting for Cubbington residents. "At present I am trying to source a suitable venue to hold such a meeting. "In relation to car key burglaries, they are not specific to the Cubbington area. "Incidents of this nature are occurring across the county and in bordering counties/force areas." Burglary: Between 23:00hrs Wednesday 03-OCT-2018 and 06:50hrs Thursday 04-OCT-2018 unknown offender(s) forced entry into a residential property on High View Road, Cubbington. Vehicle keys were stolen from within the property. Offender(s) subsequently stole a white ‘64’ plate Hyundai ix35 from the front of the property. Burglary: Between 19:00hrs Monday 22-OCT-2018 and 08:00hrs Tuesday 23-OCT-2018 unknown offender(s) forced entry into a shed at the rear of a residential property on Offchurch Road, Cubbington. Offender(s) stole a black and orange Giant Propel Advanced 0 pedal cycle. Burglary: At approximately 13:45hrs Thursday 25-OCT-2018 two unknown males burgled a residential property on Kelvin Road, New Cubbington. The offenders forced entry via the front door. Once inside they conducted an untidy search. Vehicle keys were stolen from within the property. A grey Audi A3 (vehicle registration ending KWU) was subsequently stolen. One offender drove off in the stolen Audi, the other drove off in a black Volvo (vehicle registration ending YKM). Burglary: At approximately 03:00hrs Saturday 27-OCT-2018 an unknown male was disturbed whilst inside a residential property in The Grange, Cubbington. The male offender was dressed in black with a hood up. Forced entry was gained via a rear ground floor door. Vehicle keys were stolen from within the property. No vehicles were stolen. Burglary: Between 13:00hrs and 16:30hrs Sunday 28-OCT-2018 unknown offender(s) forced entry into a residential property on Rugby Road, between Cubbington and Weston-under-Wetherley. Entry was gained via a ground floor window. Once inside offender(s) conducted and untidy search.Burglary: Between 14:00hrs and 18:40hrs Friday 02-NOV-2018 unknown offender(s) forced entry into a residential property on Cross Lane, Cubbington. Jewellery and money was stolen. Burglary: Between 07:45hrs and 18:45hrs Friday 16-NOV-2018 offenders used a ladder to gain entry through a window of a property on Price Road, Cubbington. Once inside the offenders made an untidy search of the premises, it is unclear at this stage what property has been taken. Burglary: At approximately 02:40hrs Sunday 18-NOV-2018 two masked males forced entry into a residential property on Broadway, Cubbington. Once inside the property offenders demanded vehicle keys from the occupant(s). The males acquired a knife from the kitchen, which was used to intimidate the occupant(s). Offenders subsequently stole a silver Audi S3 (vehicle registration ending 18AZJ) from the front of the property. It is believed three other persons were outside the property during the incident. A second vehicle used by the offenders is described as similar to a silver Vauxhall Insignia estate. Both vehicles headed in the direction of Rugby Road.